The Suzuki Method of teaching violin was started by Dr. Shinichi Suzuki in Japan in the mid-1900’s and is more of a philosophy than a method. Dr. Suzuki believed in the ability of all human beings to learn and emphasized a nurturing environment where the conditions to develop as a wonderful citizen with a beautiful heart and beautiful tone are available. He loved teaching young children and devised his approach based on how we learn languages; by surrounding ourselves with the language and learning by ear at the beginning. Dr. Suzuki engaged children through a creative and playful way of learning, matching a child’s curiosity and love of learning through challenges, games, and community. 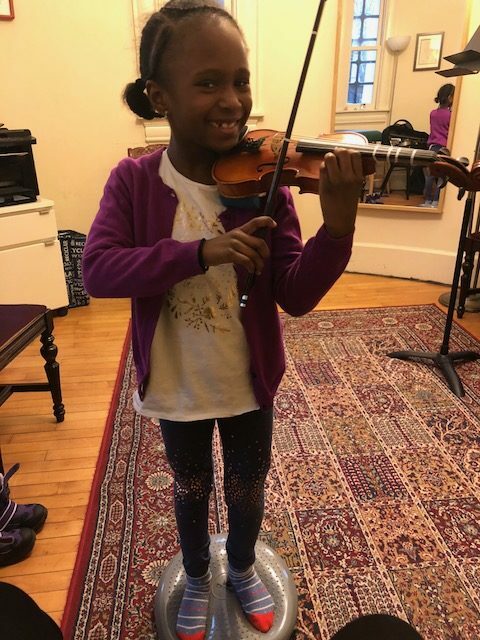 Private lessons and group classes with parental involvement ensure a well-rounded musical education that promotes personal development, social interaction and learning, and follow through at home with daily practice and listening.